Students in PIA’s Intensive English program in Portland, Oregon learn the skills and knowledge they need to study at universities in the US. 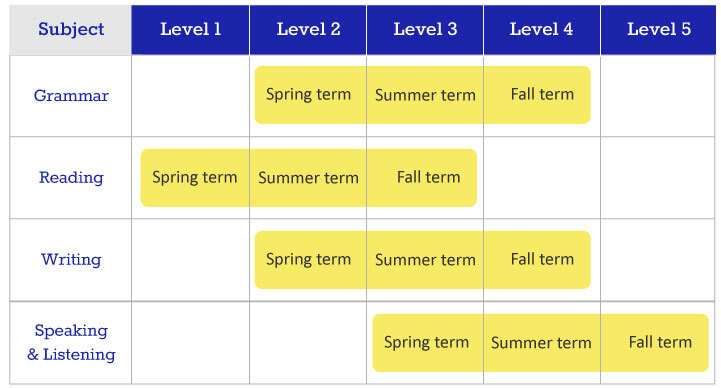 There are six levels of classes, starting with English Basics and finishing with Level 5. PIA follows a quarter system, and each quarter is 10 weeks long. Students take classes that focus on grammar, reading, writing, speaking, and listening. Along with these subjects, students learn how to work in groups, use relevant technologies, and explore cultural topics. Click here for PIA’s Intensive English schedule. The lower levels of Intensive English focus on practical skills. For example, students in Level 1 learn to read signs, practice completing forms, study everyday vocabulary words, work with English grammar, and discuss common topics. These skills help people live in the US and prepare to study academic English. The upper levels focus on academic English work, such as research, presentations, group work, and essays. Students in Level 5 write a research paper, deliver 10-minute presentations on academic topics, read challenging texts, and explore high-level grammar. PIA’s upper-level classes help students understand what US college work is like. Students often have different levels of skills and knowledge in different subjects. Students take placement tests when they come to study English in Portland. Their schedules are based on these placement tests. 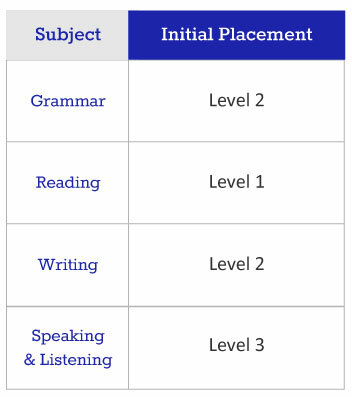 For example, a student might be in Grammar 4, Reading 4, Writing 2, and Speaking & Listening 3.